Another Working Crew edit! This time we proudly present the Boss, Mirek Ragan! Clips collected during 2011/12. Skaters: Josh Glowicki, Fritz Peitzner, Przemek Madej, Lukasz Malewski, Krystian Zarzeczny, Kuba Olejarz, Mirek Ragan, Grazyna Wratny, Tomek Przybylik. Filmed by Przemek Madej, Canis Latrans and more. Music: Audio Bullys – London Dreamer. Be-mag published an One Minute One Spot edit with Mirek Ragan. Check the boss in action! Mirek Ragan (Hedonskate owner) showing his skills during East Side Jam III. Time to blade! Photo by Piotr Gackiewicz and Kamil Miszczak. Mirek Ragan (Hedonskate owner) proudly represents Nimh brand. Check this photo made during spring cleaning of the office – Mirek and his Nimh collection with new Shamans as his latest setup. Go Mirek! We are waiting for clips! Mirek Ragan (Hedonskate owner) had a small accident few days ago.. 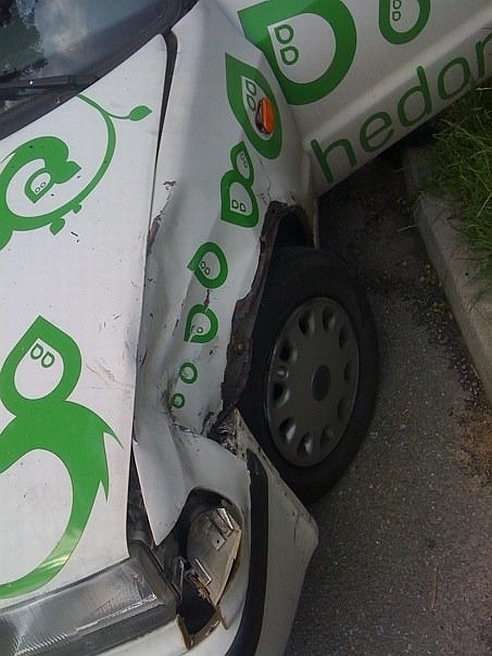 Check the pic of Hedonskate mobile. More photos from USA trip by Łukasz Siekanowicz.